133 Garmon Avenue, Old Forge, NY.| MLS# S1170909 | Benn Realty LLC -Since 1968, and now with offices in Old Forge and Remsen to serve you better. An Adirondack beauty that must be seen! Spacious and open living area with fireplace that flows seamlessly to the deck or the large three season sun room. Newly remodeled in 2008, this home has updated bathrooms and kitchen, propane fireplace, Trane furnace, Kohler whole house backup generator, on demand water heater and more! You will enjoy the large gazebo, new boardwalk, 7' fencing and stairs that lead to 30' of river front. The large gazebo has electricity as do the three attached sheds. 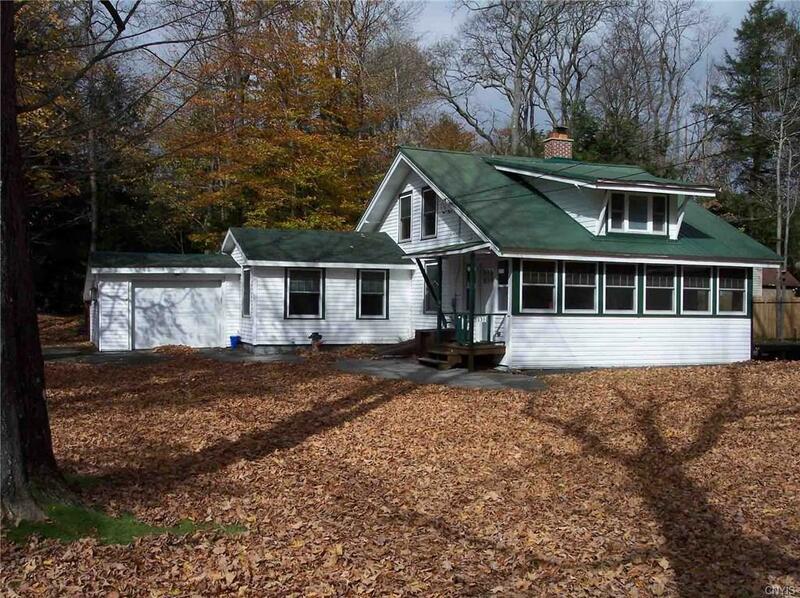 Call for a private showing to make your North Country dreams come true!